All are invited to make a special offering to help us transform the sanctuary for our festive celebration of Christ's birth! 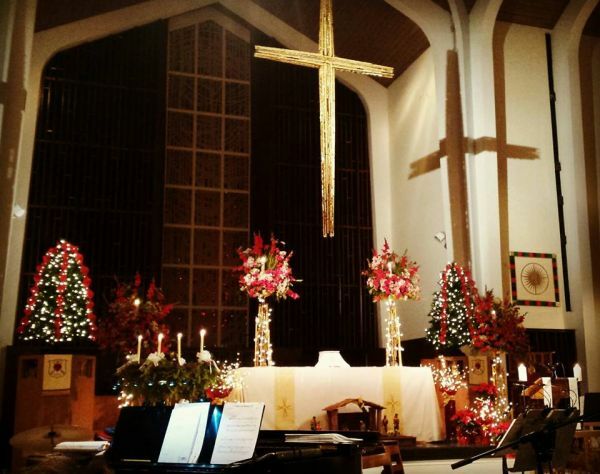 Greenery, ribbons, flowers, lights and more will adorn our sacred space as we share in Christmas joy. Gifts can be made in memory of loved ones or as thank offerings, and will be listed in our Christmas bulletins. While all gift amounts are welcome, the suggested minimum contribution is $20. To make your Christmas flowers and greenery offering online, click here. Or use one of the Christmas Greenery and Flowers envelopes at church. All offerings need to be delivered to Carrie Price in the church office by Monday, Dec. 17.